Ok, fair warning. If you are here for a two paragraph good marketing tip, you're in the wrong place. I'm deviating from my normal article style and getting down to some math. Geek Time! Back in November I posted an article, Poker Equity and Marketing - Lead Equity. The topic got resurrected this week with the posting of my interview on the Funnelholic site, when a question from @chadhorenfeldt from Eloqua caused me to bring up Lead Equity. It lead to me reposting the original article, and then to my responding to several questions by email asking me to elaborate. 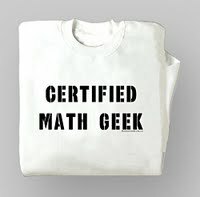 So I figure I would write the missing part of the original article...the math behind the terms. Instead of thinking about the obvious success of a program, you will start thinking about the value of a lead as it contributes to the company. Let me explain. 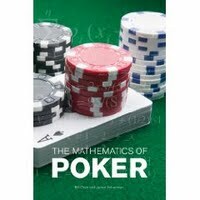 Poker, for math geeks, is more of a science than a game, a gamble, or an art form. There is definitely the human aspect, just like in business, but a majority of poker decisions can be accurately made by simply understanding the math behind what you are investing and why you are investing it. So how does this apply to lead gen/demand gen? What is Lead Equity? It is a mathematical application that helps explain why you should invest or pass (check, bet, or fold) on certain marketing programs, or how to compare one program to another. Your Lead Equity is, in simple terms, the amount of the average deal size that has already been earned by a specific lead. Using equity becomes an easy and intuitive way to make decisions in marketing, just as in poker. Say for example we have a lead that has worked it's way from a purchased list, to a whitepaper campaign and they have requested a whitepaper. Total cost per lead at this point has been $150. You know that your average deal size is $20k, and with this type of lead you've measured historically that 5% over time convert to opportunities, and your sales team closes 25% of those deals. So your current lead equity is 5% x 25% x $20k, or more simply, $250. So this program has already earned $250 for a $150 investment. Good program. This measure makes for a nice KPI to add to your reports. Obvious and logical. It's good to know our value of a lead at all stages in the funnel. But how should we incorporate this information into the management of a demand gen program? The reality is that you will never know the true outcome of moving a lead through the pipeline. But based on historical data and run rates, you can make reasonable assumptions that can be used to your advantage. Let's look at a more detailed example. In this situation, a recent campaign is generating leads, but some of them (all from the financial vertical), according to the sales reps, are "terrible". Should you kill that vertical? Should you expand this campaign into other verticals? Should you invest into the markets where the reps stay happy? Don't take the situation at face value. So this program has leads being generated from multiple buyer types in different industries. The Technical Buyer from a the non-financial industry can be classified as Use Case A, and the Committe Buyer from the financial Industry can be classified as Use Case B (in poker, hand A and hand B). Use Case A - This sales cycle is short. This type of lead converts to an opportunity 20% of the time. The opportunity has a close rate of 25% from the pipeline, and the average deal size is $75k. Your programs look very successful. The pipelines are full. Everyone is happy. Good rewards fast. Use Case B - This second type of deal has a completely different outcome. Typically only 10% of the leads convert to an opportunity and the close rate is a miserable 15%. The projects go out to bid with RFP's. Decisions can take over a year. The decision makers are more committee driven. However, the deal sizes are large, they average $300k. From a high level, the lead conversion is a chore: the rep is always getting pressure because these deals get stuck in pipeline, are not as active, they never seem to close, and it appears to be not worth the effort. Lead Equity A - is 20% x 25% x $75k, or $3,750. Lead Equity B - the runt of the marketing program litter, is 10% x 15% x 300k, or $4,500. In the case of lead equity, the industry that your company thinks provides the hot leads are worth less overall than the bad leads. As in poker, sometimes the hand that looks like the dog is actually the hand you should bet on. You should expand that financial industry program. Could you change the whitepaper topic to still cover the same technical issues, but change the client reference to a financial client? This may resonate more with financial buyers and will increase the outcome even more. In poker, this is called "selling a hand". ROI studies, how many months does a program take to pay for itself, may show a slightly different outcome. All KPIs can show different outcomes. Think about some other influences on your programs. Do you take pipeline momentum into account? Or how reps will react to the higher deal sizes being closed? Do prospects react differently to different messages or techniques? I could elaborate in this example as to the human aspect of the pipeline, but this really starts to tie in another aspect of poker and math into the equation, game theory. Blog article Part 3?